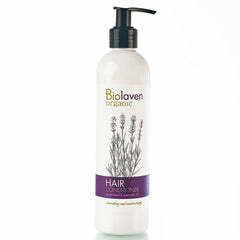 What is Natural, Organic, Hypoallergenic, & All That Jazz? Dozynki Harvest Festival in Yorba Linda! We highly recommend natural products during your pregnancy. It is an exceptional time for you and your baby, and during that time, you deserve the best. All natural and cold-pressed oils are desirable for the new mother’s skin. These substances are bio-agreeable within our skin. Natural oils are absorbed faster into the skin, and they bring many necessary nutrients such as vitamins, minerals, and unsaturated fatty acids. Of course, they are non-toxic, and they won’t harm either the baby or the mother during that vulnerable time. Sweet almond oil: Rich in fatty acids, proteins and minerals, and has a lot of necessary vitamins, especially from B group. It is a particularly delicate oil and it is the least likely to cause allergic reactions. This oil helps in caring for atopic and dry skin. It is not only recommended during pregnancy, but it is also recommended for the care of newborns and children because it is quickly absorbed into the skin. It also soothes and smoothes skin preventing it from stretch marks. It works well in hair care products, making your hair shiny and healthy. Wheat germ oil: This oil is particularly valuable because of its richness of unsaturated fatty acids, vitamins, phytosterols, and mineral. Wheat germ, among all the other vegetable oils, is the richest in Vitamin E. It is popularly called the ‘youth vitamin’. 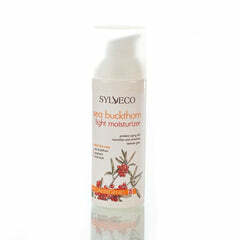 It moisturizes, soothes irritations, and improves blood circulation. Because of its intensive nutritional and antioxidant properties, it is recommended for the care of dry or mature skins with low elasticity and with blemishes. Macadamia nut oil: This oil is well known in cosmetology for its high level of unsaturated fatty acids. It has a firming effect, smoothes, and moisturizes. It also prevents the creation of stretch marks and cellulite. Looking for these ingredients in your skin care products would bring only benefits to your skin. Your skin would need extra nourishment and extra help, especially during the first and the last trimester of your pregnancy. Find the best products on the market and use them well. Alina Cosmetics carries a lot of quality skin care products which are excellent during pregnancy and after the childbirth. 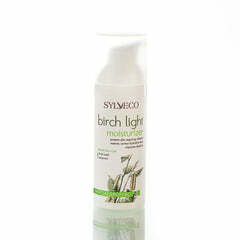 Shop now our SYLVECO brand, the best natural skincare suitable for pregnant women and newborn babies.